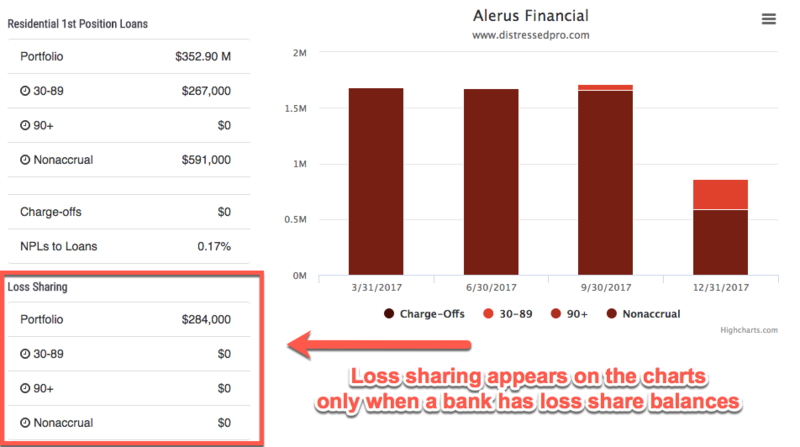 Loss share happens when a failed bank is absorbed by a different operating bank. In order to help the acquiring bank (and FDIC) offset some of the losses, the FDIC will share in the loss with the acquiring bank. You can target banks with loss share using the Advanced Search feature inside of your BankProspector software. If the bank knew they couldn’t really lose don’t you think they’d be more inclined to sell? Presenting ‘Loss Sharing‘. If you don’t know what an FDIC Loss Sharing agreement is then watch the video at the bottom of this post (it will save me a LOT of typing). Suffice it to say that a loss sharing agreement protects the bank that purchases or assumes the assets of another failed institution. This is significant for obvious reasons, not the least of which is that banks are going to be MUCH more motivated to sell REO and nonaccrual loans that are covered under loss sharing agreements. BankProspector lets you search and sort for banks with these agreements. We’ll probably start by showing just the real estate loans but I have had some call for consumer and C&I debt info so we’re looking into adding that as well. For each of the loan category you’ll be able to see the loan totals in 30-89 day late, 90 day late, and nonaccrual status. Nice! And if you’re a geek like me you’ll also be interested to see the portion of the OREO covered by the loss sharing agreement. This is fairly big stuff if you know what you just read and it could potentially change who you’re approaching and how. I’m ready to hear a different opinion on that but I think I’m right.